This lesson is recommended for beginners! 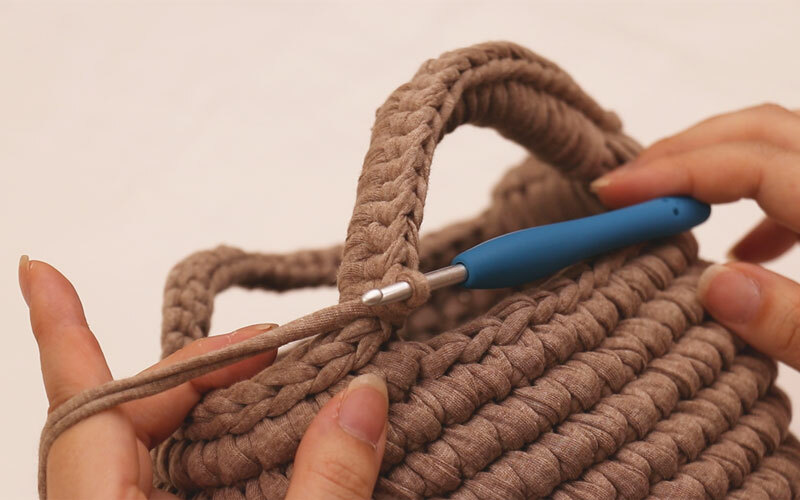 It tells you how to make a mini marche bag by using basic skills. 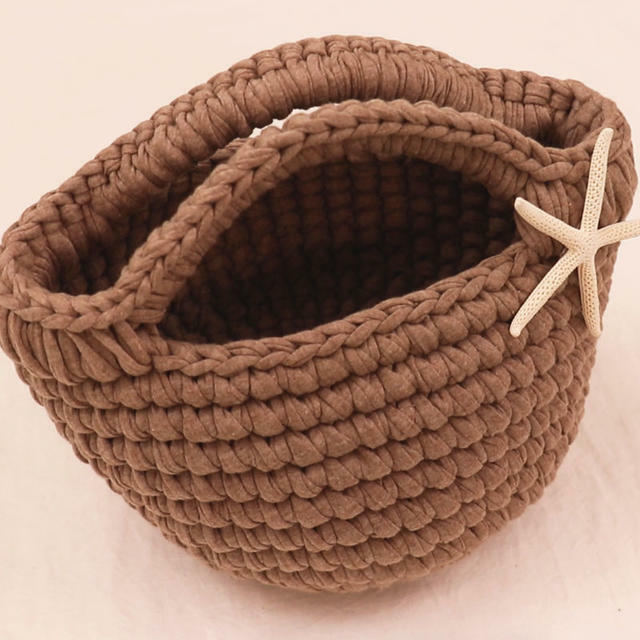 This lesson tells you how to make a small marche bag out of a T-shirt yarn by using basic skills. T-shirts yarn is a material that is made by cutting a T-shirt into a thin thread. "Yarn" means "thread" and it's an eco-friendly material. Also, "marche" means "market" in French. 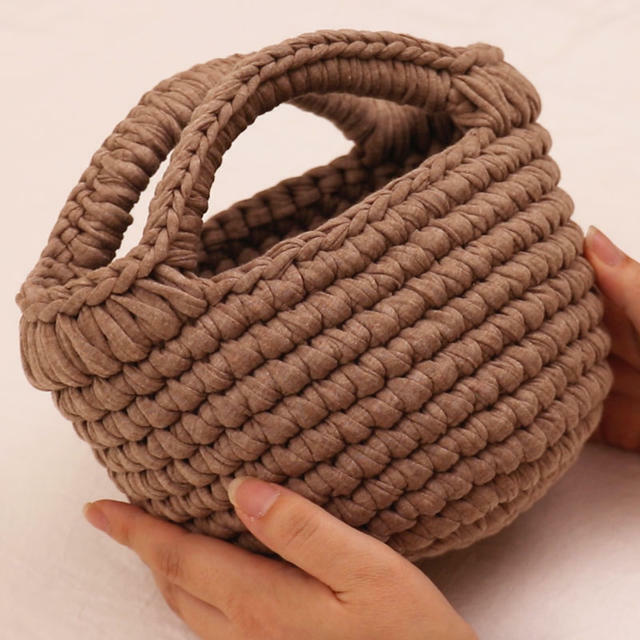 A basket bag for things bought from martkets is called "marche bag". 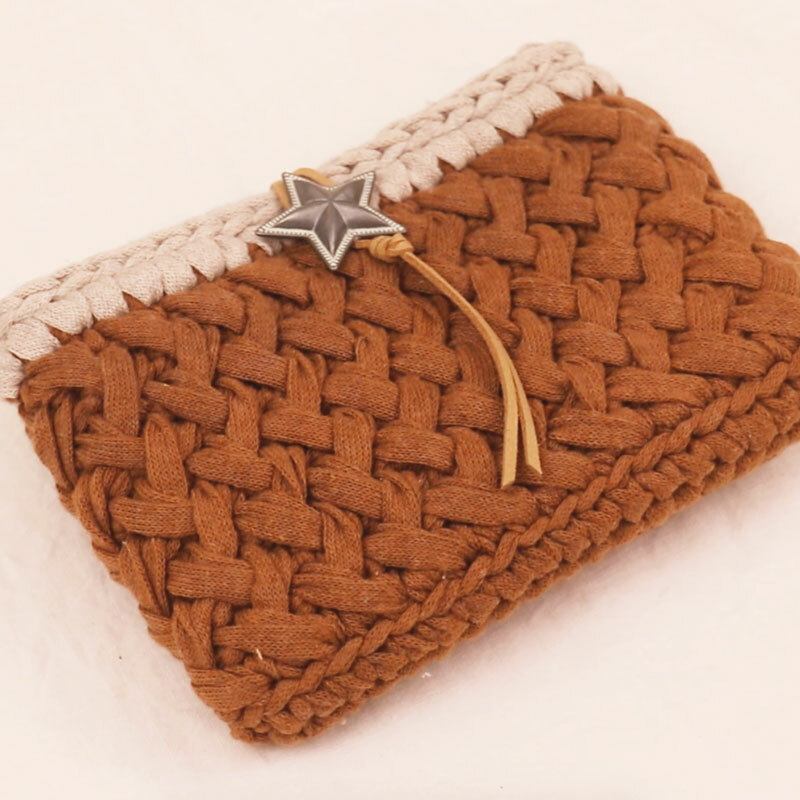 Recently, a cotton marche bag is very popular. It's used by fashionable people since it's light and stylish. Isn't it great if you can make such marche bag yourself? This time, Ms. Kinomi, the teacher gives you a comprehensive lecture about her special way, which even beginners can try, how to make it from scratch and all the way to finish it up with a handle. This mini march is so easy that you want to make many of them! 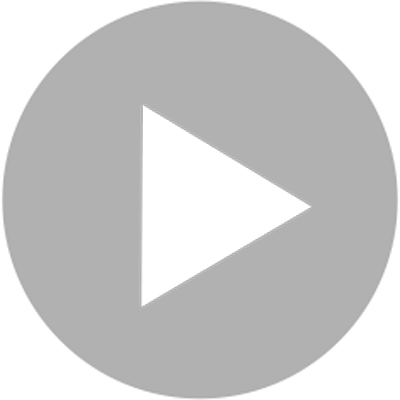 - about tips for making it into a cute round shape. 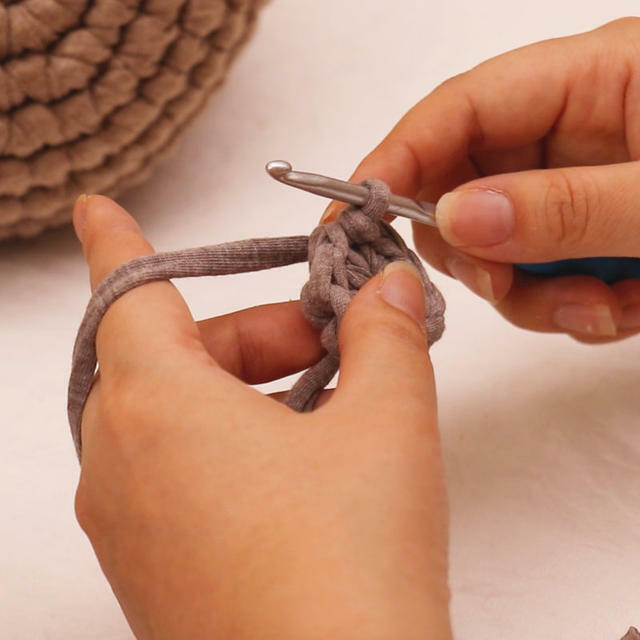 - how to connect threads when you run out of your yarn. Ms. Kinomi will teach you the tips freely on how beginners of T-shirts yarn knitting can knit neatly in this lesson. You can arrange it freely once you master how to make it. You can make it with different colors and sizes. In this lesson, she explains not only its stitches but also how to make it round. You can deal with any sizes of the bag without any confusion if you understand her logic. 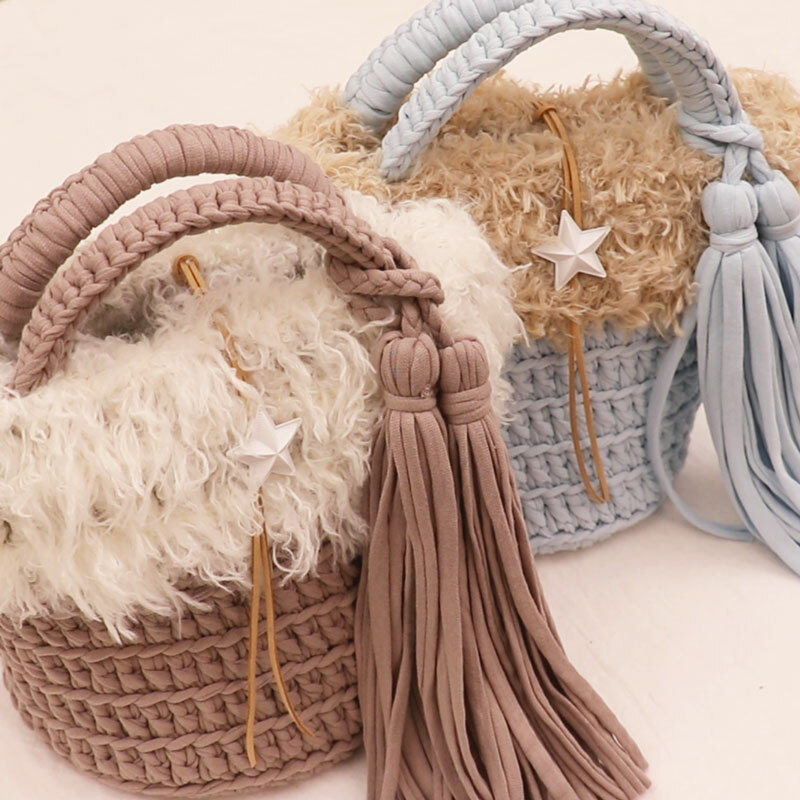 Enjoy making the original mini marche bag by using your favorite or seasonal colors, or by putting different kinds of decorative parts!